In 1895, while conducting research with his step-up transformer, Nikola Tesla had his first indications that time and space could be influenced by using highly charged, rotating magnetic fields. Part of this revelation came about from Tesla’s experimentation with radio frequencies and the transmission of electrical energy through the atmosphere. Tesla’s simple discovery would, years later, lead to the infamous Philadelphia Experiment and the Montauk time travel projects. But even before these highly top-secret military programs came about, Tesla made some fascinating discoveries on the nature of time and the real possibilities of time travel. With these experiments in high-voltage electricity and magnetic fields, Tesla discovered that time and space could be breached, or warped, creating a "doorway" that could lead to other time frames. But with this monumental discovery, Tesla also discovered, through personal experience, the very real dangers inherent with time travel. "I am afraid," said Tesla, "that you won’t find me a pleasant companion tonight. The fact is I was almost killed today. The spark jumped three feet through the air and struck me here on the right shoulder. If my assistant had not turned off the current instantly in might have been the end of me." Tesla, on contact with the resonating electromagnetic charge, found himself outside his time-frame reference. He reported that he could see the immediate past, present and future, all at once. But he was paralyzed within the electromagnetic field, unable to help himself. His assistant, by turning off the current, released Tesla before any permanent damage was done. A repeat of this very incident would occur years later during the Philadelphia Experiment. Unfortunately, the sailors involved were left outside their time-frame reference for too long with disastrous results. Tesla’s secret time travel experiments would continue on in the hands of others who were not as concerned with humanity as Tesla. We are left with rumors and speculations on who may have become the heirs of Tesla’s research -- hopefully, someday these secrets will be revealed once and for all. Although many of his inventions, blueprints, and patents have long been destroyed, or are perhaps still sitting locked away in a military bunker, it is widely known that Tesla had figured out gravity, and how to manipulate it. 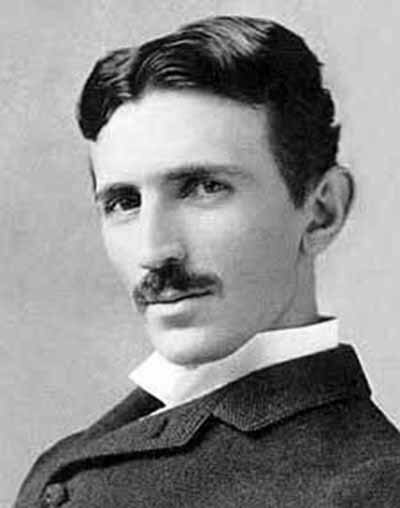 Tesla had plans for anti-gravity propulsion craft and many of his earlier experiments reportedly “took off” into the sky, in the earlier days Tesla was puzzled by these phenomenon, being the real scientist that he was, he investigated it and drew his own theory of gravity. Check out nikola tesla’s dynamic theory of gravity as a result. Over the past century, through the work of leading researchers of anti-gravity like Professor John Searl, and John Hutchinson, we now know that what Tesla was saying almost 100 years ago about the ether and nature of gravity, is true. Gravity can be controlled and manipulated through the use of high voltage, superconductivity and high frequency, which is exactly what Professor John Searl did in the 1960s-1970s with his IGV(Inverse Gravity Vechicle) His craft flew between the UK and New Zealand in 19 minutes, round trip, achieving mind boggling speeds through the use of these physics. As scientists squandered the theory of the ether and rushed towards the field of Quantum Physics and Quantum Particle interactions Tesla predicted all this would be in vein, and that many years will pass before scientists wake up and begin their long trek in the opposite direction, back towards the truth.